NEW YORK – In 1968, gonzo journalist Hunter S. Thompson mused about “this Death of the American Dream thing.” But what was this thing called the American Dream? What made it uniquely American? For some, the Dream was Americans’ belief that their economy was a cornucopia of goods sure to bring a standard of living unimaginable in other economies: the dream of unrivaled plenty and comfort. But, while America had a superior wage level in the 1700s, Britain nearly closed the wage gap with America by the 1880s, and Germany came almost as close by 1913. Germany and France caught up with America by the 1970s. For some economists, the Dream was the hope of an improving standard of living: the dream of progress. The economist Raj Chetty has been gauging the improvement people have made over what their parents had. He found that in 1940, nearly all young Americans – 90% of them, to be precise – had a household income higher than their parents had when they were young. That high percentage largely reflects America’s rapid productivity growth, which boosted wage rates. Yet from 1890 to 1940, rapid productivity growth was normal in Britain, Germany, and France as well – as it was in the “30 Glorious Years” from 1945 to 1975. So if the Dream was progress, Europeans could have dreamed of progress, too. For many others, the Dream referred to the hope of America’s deprived – stirred by Eleanor Roosevelt, Martin Luther King, Jr., John Rawls, and Richard Rorty – that their country would somehow end the injustice of pay so low that it isolates them from the life of the country: the dream of inclusion. Yet such a dream could not be unique to the poor and marginalized in America. Certainly Arabs and Roma in Europe have dreamed of being integrated into society. For other scholars, such as Richard Reeves and Isabel Sawhill, the American Dream is about mobility more generally. It is a hope held by Americans, in the working and middle classes as well as the working poor, of being lifted to a higher rung on the socioeconomic ladder, not a rise of the ladder itself: the dream of a higher income or social station relative to the average. In fact, from the mid-nineteenth century well into the twentieth, structural shifts wrought by technological change and demographics in America’s market economy lifted many participants – while dropping others. Yet it is doubtful that this “musical chairs” was unique to Americans. From 1880 well into the 1920s, Germans and French saw their economies transformed by globalization; Britons had that experience even earlier. What made the American Dream distinctive was neither the hope of winning the lottery nor of being buoyed by national market forces or public policy. It was the hope of achieving things, with all that that entails: drawing on one’s personal knowledge, trusting one’s intuition, venturing into the unknown. It reflected the deep need of these Americans to have the experience of succeeding at something: a craftsman’s gratification at seeing his mastery result in better work, or a merchant’s satisfaction at seeing “his ship come in.” It was success that mattered, not relative success (would anyone want to be the sole achiever?). And the process may have mattered more than the success. Of course, dreaming of success could not have been widespread – a national phenomenon – had working Americans not had an economy that gave participants the freedom to be enterprising: to try new ways and conceive new things. And dreams of success could not have become as widespread as they did had Americans not perceived that they could succeed regardless of their national origin and their social status. Observing that enterprise, exploration, and creation could be engaging, even engrossing, and deeply gratifying, Americans came to view working in businesses, from rural areas to cities, as a path to the Good Life. And that life’s rewards were not just money. To suppose that money was their focus – even in their dreams – is to miss what was distinctive in American life. From the early nineteenth century to the middle of the twentieth, Americans were proving the wisdom of philosophers from Montaigne and Voltaire to Hegel and –a hit in America – Nietzsche: that the good life is about acting on the world and making “your garden grow,” not padding your bank account. Russia has long been a major supplier to the European energy market. Put another way, Russia’s economy depends on its sales to Europe’s energy market. So Moscow took notice when recently the U.S. delivered its first shipment of liquefied natural gas to Lithuania, a country that at its nearest point is just more than 400 miles (650 kilometers) from Moscow. In fact, U.S. natural gas shipments have been appearing all over Europe lately in the wake of the American shale gas boom. This is the sort of encroachment that Russia is compelled to respond to. The challenge for Moscow is to do so without appearing threatening to Europe and thus pushing it closer to the United States. One place it might be able to do that is the Caucasus, specifically around Georgia and its breakaway republics, the very place where Russia announced its return to history in 2008. Russia has always kept a close eye on the Caucasus. This complex region has historically been riven by conflict. The most recent was, of course, a war between Russia and Georgia in 2008 over the breakaway Georgian republics of South Ossetia and Abkhazia. Russian troops are still stationed in the republics. In fact, South Ossetia’s military was integrated into the Russian military in July as part of a 2015 agreement that provides for the formation of common defense and security between Russia and South Ossetia. The South Ossetian military is small, and its incorporation will not significantly affect the strength of the Russian army. It does, however, attest to Russia’s long-term plan to absorb a united Ossetia. Whether it can is another question, leaving open the possibility that Moscow will have to make do with a restive republic that is militarily if not politically beholden to the Kremlin. Russia also plans to strengthen its position in the Caucasus by focusing on energy agreements. It wants to create a vast space for cooperation in Eurasia – with Moscow in the dominant spot, of course. The most important part of this plan for Russia is to establish control over the region’s oil and gas pipelines. Doing so will give Moscow control over energy supplies to Europe even if the supplies are not directly sourced in Russia. The recently introduced sanctions, as well as the conflict in Ukraine, have delayed Russia’s plans to increase the supply of energy resources to Europe. The Caucasus, through which Europe also receives energy resources, gives Moscow a way to get back on track The Caucasus is poised to become a larger provider of European energy because several countries in Central Asia and the Caucasus (especially Azerbaijan, Kazakhstan and Turkmenistan) are rich in natural resources, including oil and natural gas. And the EU is eager to diversify its energy supply – relying too much on one supplier puts it at risk of disruption. The European Union currently receives almost 40 percent of its oil supplies from the countries that make up the Commonwealth of Independent States, a Russian-led confederation of states that generally cooperates on economic matters. Russia accounts for 27 percent, while Kazakhstan provides almost 7 percent and Azerbaijan about 4 percent. Europe gets oil from this region through the Baku-Tbilisi-Ceyhan pipeline and the Baku-Supsa pipeline, and natural gas flows through the Baku-Tbilisi-Erzurum pipeline. All of these pipelines transit Georgian territory. That’s a source of strength for the Georgian government, but it’s also a vulnerability. In late July, the Russian armed forces advanced the borders of South Ossetia slightly, putting a small stretch of the Baku-Septa pipeline within South Ossetia’s territory. This gives South Ossetia – or really, Russia – the ability to cut off supplies, or at least siphon off what it wants. Georgia could avoid this stretch of the pipeline, but not without incurring the added cost of loading the natural gas onto trucks or trains and shipping it overland. Herein lies Russia’s reply to U.S. actions. The U.S. ramped up natural gas deliveries to Europe, so Russia took hold of part of a Georgian pipeline that supplies gas to Europe. The U.S. led seven other countries in Noble Partner 2017, a large-scale military drill in Georgia, so Russia launched its own military drills in the North Caucasus and South Ossetia, which included about 16,000 Russian servicemen. And Russia completed the accession of South Ossetia’s army into Russian forces. Georgia wants stronger ties with NATO. To strengthen them, it has to distance itself from Russia. But as long as Russia has leverage over the oil and gas passing through Georgian territory, it can’t do that. Georgia was the first country to abandon the post-Soviet identity and try to escape from Russia’s sphere of influence, but it can’t exist isolated from the Caucasus region. This, plus its dependence on energy supplies, obligates Georgia to cooperate with Russia in the energy sector in the Caucasus. Russia has demonstrated to the U.S. that it can counter U.S. energy imports to Europe and continue to have significant control over the energy flows between the Caspian region and Europe. Recognizing the potential of the Caucasus region, the EU has been participating in the development of its energy sector. So it is important for Russia to maintain and strengthen its influence in the Caucasus. Russia has the ability to influence regional authorities as well as BP, which operates in the South Caucasus. The timing and energy focus of Russia’s pivot to the Caucasus indicate that this is part of Moscow’s response to U.S. sanctions. It is in Russia’s interest to increase control over the pipelines passing through the territory of Georgia, but every move Russia makes to achieve that goal makes Europe more suspicious of its intentions, thus making it harder to drive a wedge between European countries and the United States. When things go wrong, insurance policies are supposed to pay out. 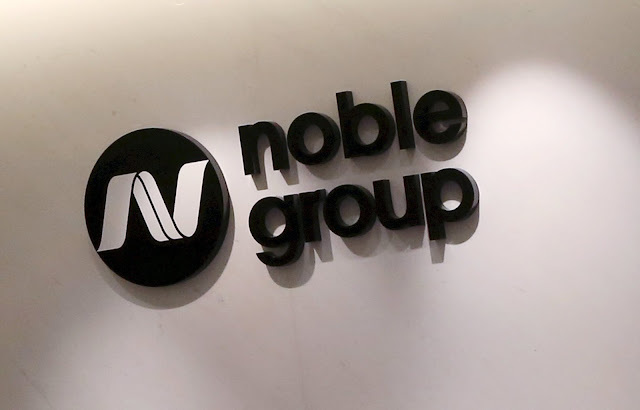 In the case of Singapore-listed Noble Group, a once-prominent commodity trader that has fallen on hard times, that process is proving complicated. Noble has suffered a grim couple of years, with earnings slumping and its market value diving amid questions over its accounting. Still, it managed to roll over billions of dollars worth of debt earlier this year, and has also persuaded its bankers to extend its credit lines. But should these deals by Noble to extend its debt repayments be counted as a “credit event”? That’s the question now being debated by those who bought and sold derivative products designed to insure investors against any default by Noble on its bonds. Such so-called credit default swaps were among the complex instruments that helped exacerbate the 2008 global financial crisis, when a sudden surge in bad debts landed sellers of such protection with large bills. In recent months, hedge funds and other investors have been selling CDS on Noble’s debt, in effect betting that it wouldn’t default. 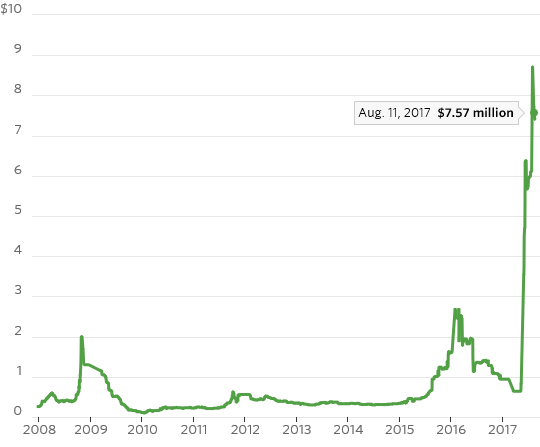 As of late July, over $1 billion of CDS had been written on Noble’s debt with almost $160 million potentially owed to buyers, according to data from International Swaps and Derivatives Association, the industry body that standardized CDS contracts. As banks and investors—among them Goldman Sachs , Deutsche Bank and J.P. Morgan —who bought this protection lose ever more confidence in Noble, they are arguing its debt extensions should trigger payouts: Several have served so-called credit event notices recently. Enter ISDA again: Since the financial crisis, it has been charged with adjudicating on whether credit events have occurred—a system designed to ensure fair and swift resolution of cases like Noble’s. To be fair, Noble’s situation isn’t clear-cut. The company says it’s looking for “strategic alternatives”—code for seeking investors. Propped up by its lenders, the company has remained on life support, despite consistently negative cash flows. But the Noble affair has exposed the limitations of the current resolution system for disputes over CDS. If ISDA’s adjudicating committee—which is due to meet again Tuesday to discuss the situation—fails to make a decision again, buyers of Noble CDS will be unable to get sellers to pay up. The fact that the committee comprises lawyers that are often from banks and investors with a financial interest in Noble’s CDS leaves it open to criticism from both sides. ISDA should make a decision one way or the other, if only to avoid looking useless. The reality, though, is that this situation could end up in the courts—hardly a great advert for the much-maligned credit default swap. Michel Temer is the most unpopular president in the democratic history of Brazil. He presides over an economy only just coming out of its worst-ever recession. He also faces corruption allegations and could be impeached. Yet markets are unfazed.Since he came to office one year ago Mr Temer has followed through on pledges to stabilise the economy, and the stock market has risen by a half. An ambitious $14bn privatisation programme, including the sale of Electrobras, the utility, has now raised investor spirits further. Although such market-oriented reforms are welcome, the optimism that has greeted them is premature.Brazil certainly needs to reform its bloated state. It is often a hotbed of corruption and patronage. Even the national mint, now up for sale, has been implicated in scandals in the recent past. Privatisation can also lead to greater productivity. The prime exhibit is Embraer, which has flourished since privatisation to become the world’s third-largest commercial aircraft maker. Even so, there are reasons to be sceptical about this privatisation drive.The first is time. Mr Temer has little of it — presidential elections are in October next year — and many of the mooted sales are complex. Take Electrobras. The huge Itaipu dam, which generates more power that any plant in the world and is co-owned with Paraguay, would have to be stripped out of the process; so too Electrobras’s nuclear assets. Even with the best will in the world, privatising Electrobras will be a complex deal that takes time. The same is true for some of the other 57 assets for sale, which include highways, ports and airports.A second problem is the urgent fiscal motives for the privatisation push. A stringent budget law, passed by Mr Temer, has frozen spending in real terms for 20 years. That is well and good, in theory. It reinforces his pledge to bring national debt back under control. The problem lies in the practice. The recession has sapped tax revenues. Budget cuts that Mr Temer had planned, such as trimming generous state pensions, have also floundered. As a result, the budget deficit is now 9 per cent of gross domestic product. Privatisation proceeds would help plug this gap. But it is poor economics to use one-off asset sales to meet recurring expenses.A third problem is Mr Temer’s lack of popular support. He has a 5 per cent approval rating. Brazilians are often wary of privatisations. Petrobras’s stock market listing did not stop corruption, as the Lava Jato corruption probe showed. Nor do privatisations always lead to greater productivity: Oi, a privatised telecoms provider, is in bankruptcy proceedings, the biggest in Brazilian corporate history. Public scepticism about the privatisation drive, already milked by the opposition and opposed by unions, could further push Brazil in a populist direction in the elections. Nobody can tell for sure.Mr Temer and his economic team have made important progress in stabilising Brazil’s economy. His privatisation drive seems designed to show he means to carry that on, as he is sure to stress to investors on a visit to China next week. If it also boosts Brazil’s stock market so much the better, from Mr Temer’s perspective. In a virtuous circle, it strengthens his standing in the local business sector, thus expands his chances of political survival, and so increases the chance of more reforms.But the practical and political barriers are large. And while crises can often help push through difficult reforms, they can also sabotage them in unexpected ways. Grand announcements in Brazil like this one, however welcome, need be taken with a big spoonful of salt.